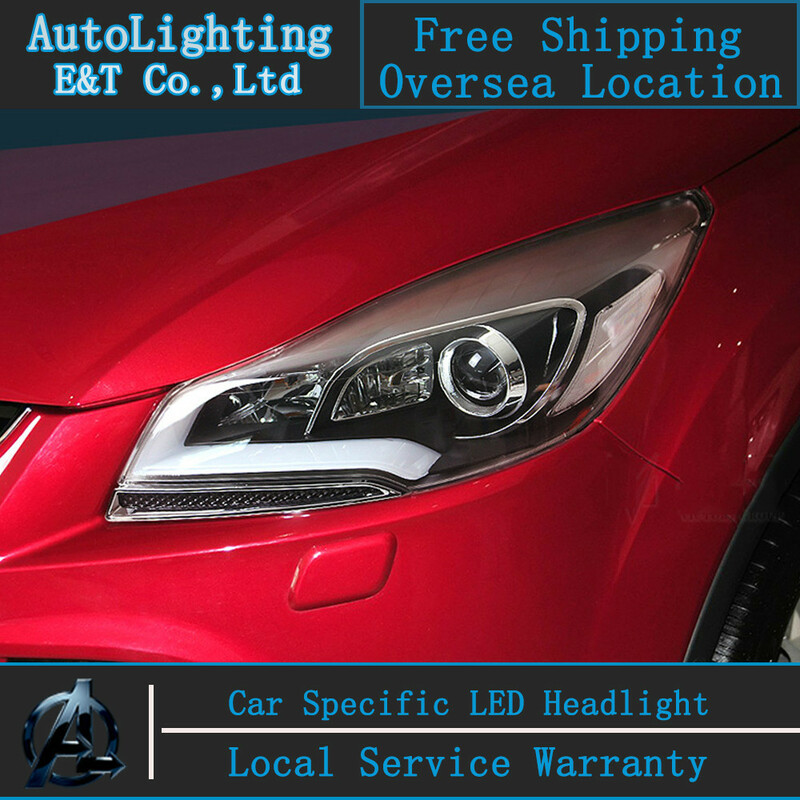 Car styling LED Head Lamp for Ford Kuga Escape led headlight assembly 2013 2014 COB angel eye drl H7 with hid kit 2 pcs. Welcome to our new style LED Headlight, which have Patented 3D CSP packaged technology and lights up 360 degrees. They emit clear 6000K cool white light and without any dark spots. Our LED lamps have canbus function with EMC system, which can fit for most of the cars in the world. We can not say our lamps can fit 100% of cars because new car\'s original lighting system is always changing and improving. After you install our LED lights, if any of the issues below happen, these issues indicate you that our bulbs can work well, you just need LED decoder or LED resistor to fit your car headlights. You will need to buy a decoder. *Include both of light bulbs flicker. *Warning error on the PC board. *Both of lights can not bright up. *One or two bulbs light up for a while then off suddenly. *Bulb has dim lights after you trun off the lights botton. *The original DRL or Side parking light can not light up after you turn on the headlight bulbs.